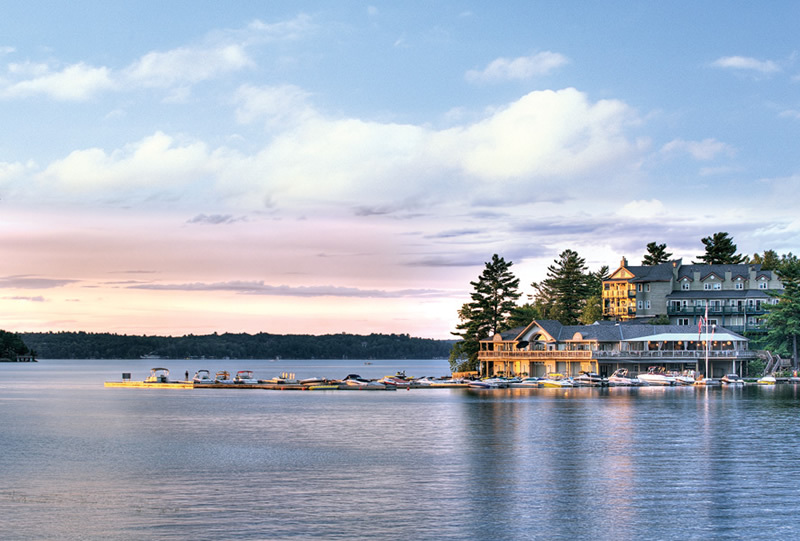 In breathtaking Muskoka, discover phenomenal opportunities to purchase whole-ownership residences at two of Canada’s finest resorts for incredibly affordable prices. Imagine owning a piece of Deerhurst Resort or Taboo Resort · Golf · Spa in the form of designer-appointed and refurbished suites with access to fabulous year-round amenities amid magnificent views. Even better, you can buy a residence for your own personal haven, or place it into a rental program for all or part of the year. With today’s hectic lifestyle, many people simply do not have the time or resources to buy and maintain detached cottages. That is why the current opportunities in Muskoka are ideal. At Baker Real Estate, we are delighted to be working with these incredible resorts that both offer easy getaways for work-weary travelers. 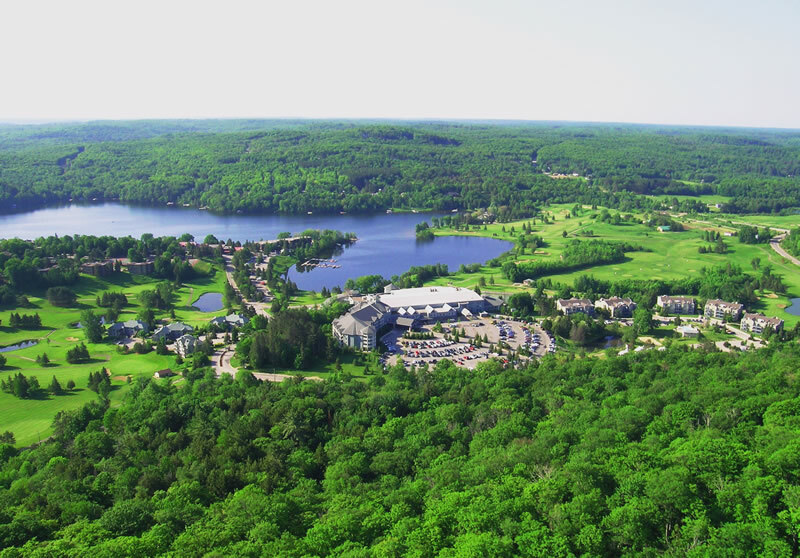 Deerhurst Summit Lodges is part of Deerhurst Resort, which is being revitalized by new owner Skyline International Development. This well-known resort features two golf courses, one of which is a championship course, as well as its own air strip for private planes, four pools, tennis, boating, excellent dining, a fabulous Shizen Spa, proximity to Lake of Bays and Algonquin Park – a real paradise. 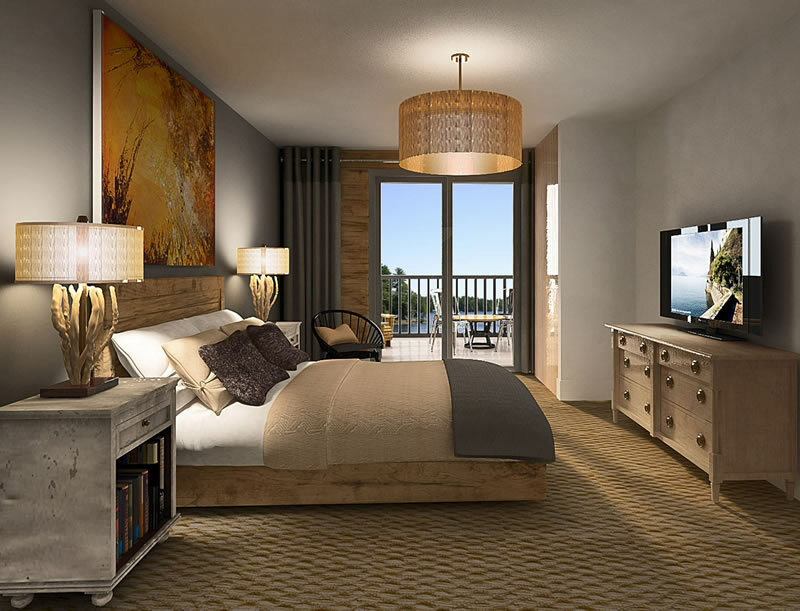 Each renovated suite at Deerhurst Summit Lodges will come turnkey ready with a gas fireplace and private balcony, plus furnishings, appliances, dishes, linens and accessories selected by The Design Agency. That is the firm owned by HGTV’s Designer Guys. They have also designed each building’s atrium with a dramatic 40-foot high vaulted ceiling and exposed beams. When they are introduced, the suites will begin in price from – are you ready – $149,900! AND – Deerhurst purchasers will receive the exclusive bonus of a $25,000 membership in the Skylife program, with unprecedented access to the amenities at Skyline’s urban and northern properties. It’s no wonder that registrations are pouring in. There are only 120 of these fully furnished condominium residences available. Visit www.OwnDeerhurst.com. Also in magnificent Muskoka, Great Gulf Homes’ Taboo Resort · Golf · Spa, where a limited collection of just 14 whole-ownership condominium pre-owned year-round cottage chalets are available for sale. These three- and four-bedroom chalets are redesigned by the renowned Brian Gluckstein of Gluckstein Design Planning to capture the Muskoka ambience. Taboo is home to one of Ontario’s premier golf courses, which encompasses 7,400 yards carved from the majestic Canadian Shield. This course and the rest of the resort are meticulously manicured to create stunning views. The Academy at Taboo is a world-class practice facility. Of course, with Taboo located on the shore of Lake Muskoka, water sports are always at hand. The resort also beckons with 8 km of bicycle trails, 1,000 acres of parkland, an indulgent European-style spa and elegant dining facilities. The chalets begin in price from under $300,000 – which is amazing value for this idyllic location. To find out more, call 1-866-MUSKOKA or visit www.greatgulfhomes.com/taboosales. Remember that history has proven that real estate is a great investment, regardless of economic dips over the years. In Ontario, one of the most loved forms of real estate is the cottage or vacation property – and the beautiful Muskoka area attracts vacationers from all over the world. As I always say, things may come and go, but Muskoka is forever!